For starters, it’s not really possible to provide a full Miller Analogies Test vocabulary list in one blog; that would simply be a dictionary. However, I do want to get you started with some examples of the type of vocabulary you will see on the MAT. But, first, I’d like to recommend some sources that can fully prepare you for MAT vocab. The MAT can test you on any word that a well-read, U.S. college graduate could be expected to know. I want to emphasize the words “well-read”; a good deal of the vocabulary on the MAT is going to be foreign to you unless you are an avid reader. That being said, a lot of it is also generally vocabulary that college graduates will be familiar with. In general, you just have to familiarize yourself with the less common, higher-level words that appear on the exam. 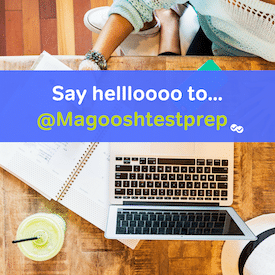 As the MAT uses the same graduate level vocabulary that you see on the GRE or the GMAT, any vocabulary resource appropriate for those exams will also work for the MAT, like Magoosh’s GRE flashcards. This is especially useful because of the sheer volume of GRE and GMAT flashcard apps available on your smartphone. General vocabulary is actually one of the easiest things to study for the MAT because of this. In true educational fashion, this is going to be a list of words, rather than definitions. If you are unfamiliar with a word, now would be a good time to look it up and start making your own flashcards (you’ll remember the list better :D). I recommend Wordnik and Vocabulary.com for all your vocab needs; they provide a ton of context sentences, and Vocabulary.com even has quizzes. And here are a few bonus ones just for the challenge: Avuncular, Diaphanous, Euphonious, Sanguine, and Uxorial.